LOS ANGELES—Oscar and Emmy award-winning producer Phil Goldfine enjoyed the performance of Shen Yun so much that it felt as though the two-and-a-half hour performance went by in just 30 minutes. 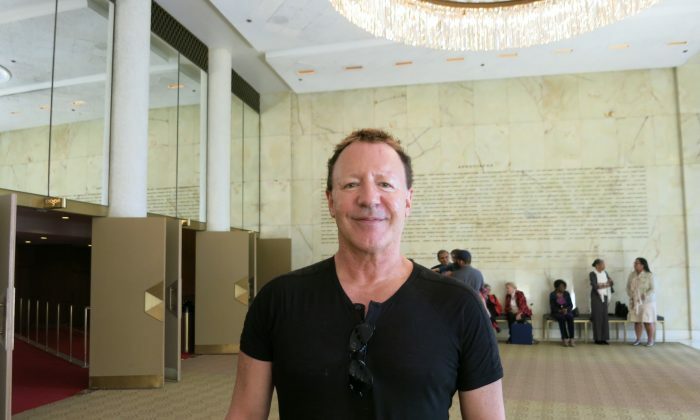 The producer attended the performance with his wife and son at Dorothy Chandler Pavilion in Los Angeles, California, on April 13. Shen Yun Performing Arts is the premier classical Chinese dance company, founded in New York in 2006 with the goal of restoring traditional Chinese culture through music and dance. Since then, the company has grown to six equally-large touring contingents that travel the world every year to share the wonders of this ancient culture to a modern audience. The producer praised the well-roundedness of the performance. “It was a great show, great effects, great dancing, great music, great singing, great pianist, I mean just all-around a great show. Very entertaining,” he said. The storytelling, in particular, stood out to Goldfine. Through the stories, Goldfine said he learned a lot about about traditional Chinese culture, going back 5,000 years all the way to the present. Traditional Chinese culture is deeply rooted in spirituality and belief in the divine. The values and ideas stemming from such a belief can be seen in the stories and texts passed down from generation to generation. These values include benevolence, propriety, and justice, and have been observed by Chinese people for millennia until Chinese society was upended under the rule of the Chinese Communist Party the last seven decades. While the stories came from only one culture, the messages conveyed were universal. Given this, he had a final recommendation.